In 1953, Robert Lewis“Bob” Evans founded Bob Evans Farms situated in Rio Grande, Ohio. He opened a sausage shop in their front yard which later became the first ever Bob Evans Restaurant. Today, there are more than 500 full-service restaurantsacrossthe United States. Patrons flock here for their superb &delicious food. Their catering service offers all-day farm-fresh meals, which ranges from sausages & burgers to grilled chicken & pot roast. They also offer bread & pastries among others. Their meal is made from fresh ingredients which are gathered daily on their farm. Hence, their products are kept naturally delicious without the added preservatives. Regulars also enjoy their delicious and tasty meals accompanied with the genuine hospitality from the staff, which keeps them coming back for more. Bob Evans restaurants are spread across eighteen states, mainly in the Mid-Atlantic, Midwest and Southeasternparts of the United States, so you’re sure to find a Bob Evans restaurant near you. Customers can enjoy all-day food at any time of the day. They can choose from an extensive menu, which ranges from scrambled eggs to sandwiches for breakfast meals. From burgers to grilled meat, for lunch meals. From smoked ham to slow-roasted turkey for dinner meals. Bob Evans restaurant prides itself on its farm-fresh ingredients and excellent food. Dishes are only prepared for the guest as they order them. You may order from Bob Evans Catering in several ways. 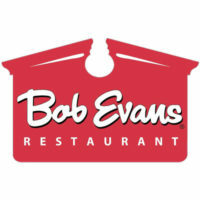 For dine-in and pick-up option, you can visit their webpage (https://www.bobevans.com) to find the nearest local restaurant. Another way is choosing from the variety of Catering Meals from their website and ordering through phone or online. You may contact them at877-BOB-EVANS for your orders. You may also email them via catering@bobevans.com for catering orders or for other inquiries. Some of their signature dishes are Sausage Gravy & Biscuits, the Rise & Shine breakfast, their Knife & Fork Sandwiches and Turkey & Dressing. Patrons also enjoy their assortment of pastries and seasonal pies among others. In case you need to pick-up your orders, Bob Evans Restaurants are open from Sunday through Saturday 06:00 am – 09:00 pm. It would be best to coordinate with their specialist a couple of days before your event to be sure you can be accommodated. Bob Evans Catering has a vast variety of Fresh-Food meals to choose from. These are perfect for any events, parties, graduation and other gatherings. Their party platters canserve up to 10 people. For breakfast meals, you may choose from scrambled eggs, oatmeal, sausages, bacon, and sandwiches. For lunch meals, you can enjoy avariety of meals from an assortment of box lunches, salad, burgers, and grilled meat. For dinner meals, you can choose from slow-roasted pot roast or turkey to fried steak, smoked ham to grilled chicken. Choices of Side Dishes, Beverages, Pies and Pastries are also available for minimal add-on cost. Vegetarian Platters are also available on their menu. Their food is competitively priced compared to other catering services. Considering all meals are made fresh and are naturally delicious, the high quality of the dish is definitely worth its price.